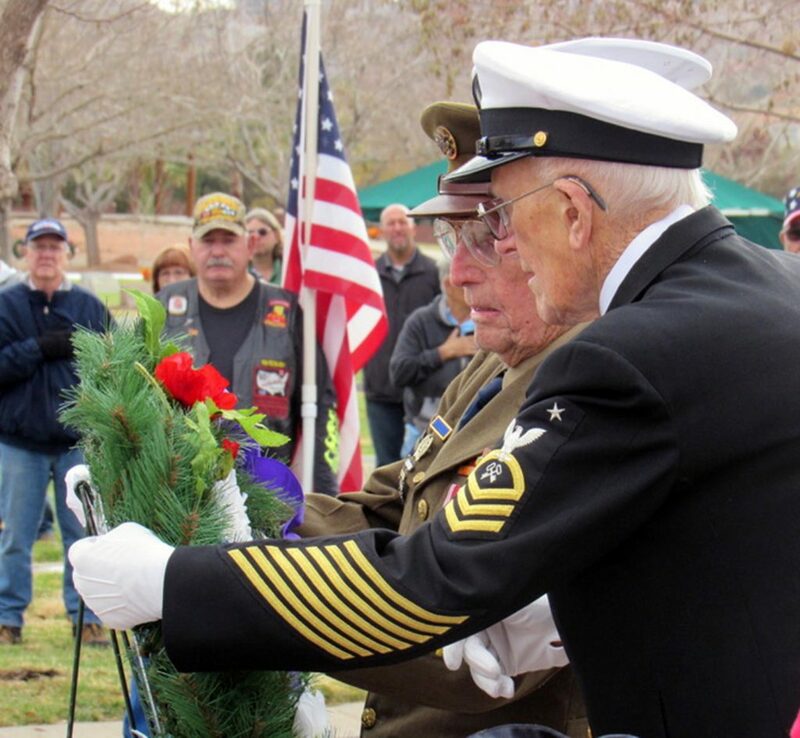 ST. GEORGE — It was a chilly morning Friday but dozens of hearts were filled with warmth and honor at the annual ceremony commemorating the attack on Pearl Harbor 77 years ago. 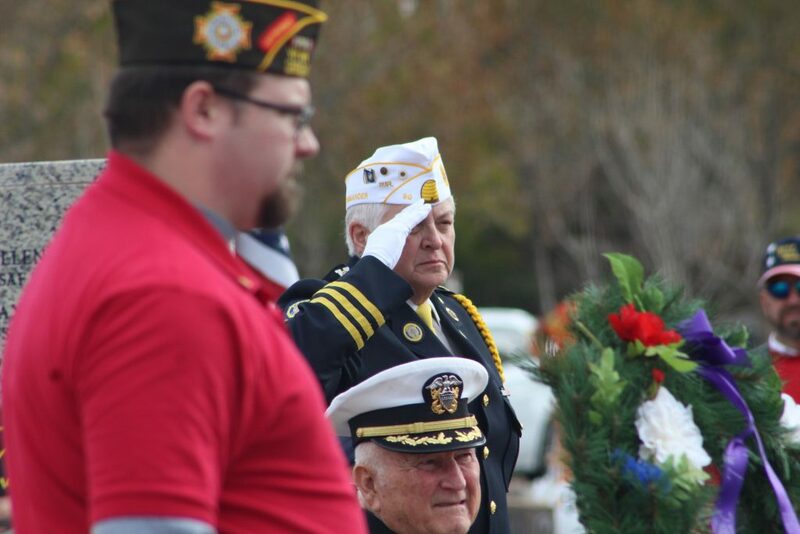 Many in attendance said it was the largest turnout in years. 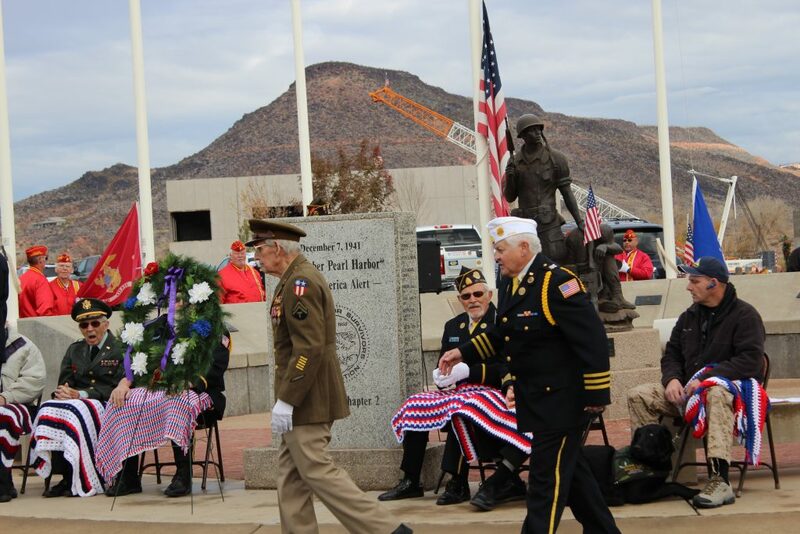 This year’s ceremony was a silent commemoration and was especially poignant following the loss of John Endicott, Southern Utah’s last known survivor of the attack who died in March. 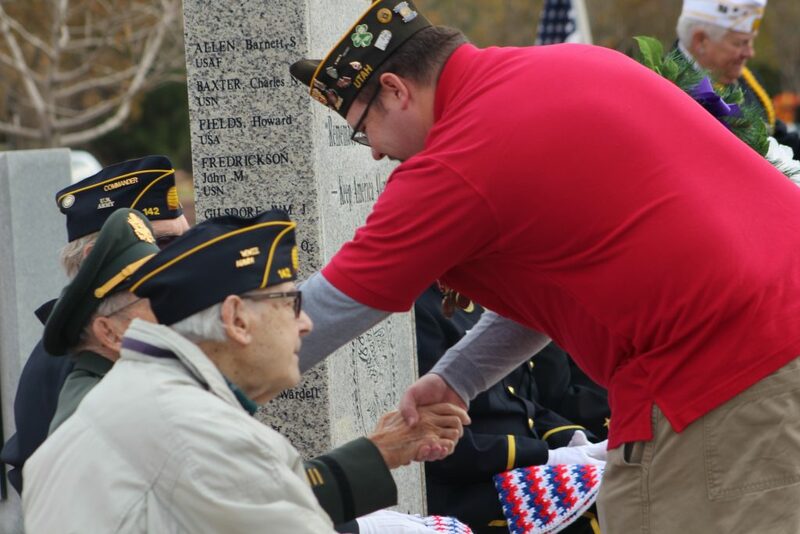 Veterans from around Washington County surrounded the flagpoles at the Veterans Memorial as honored guests from each branch of service joined for a wreath presentation. 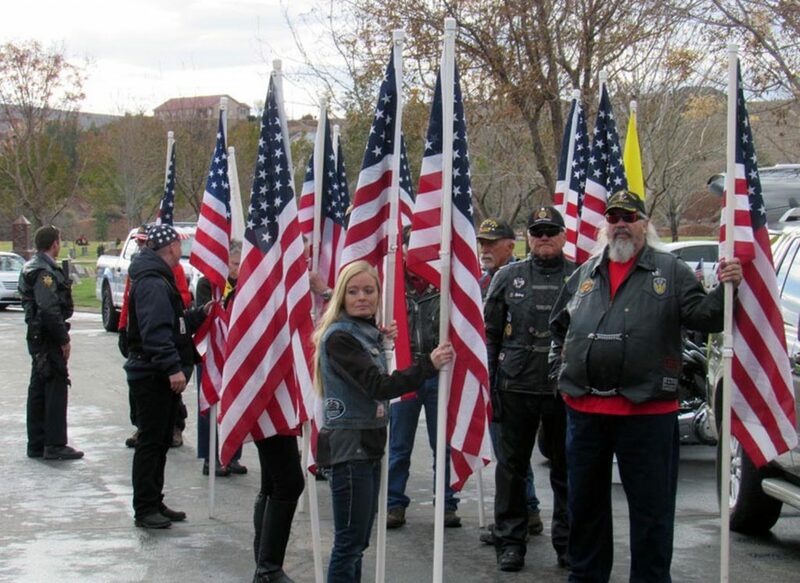 Flanked by American flags presented by the Patriot Guard riders, the community prepared for a prayer, a moment of silence and raising the flags. 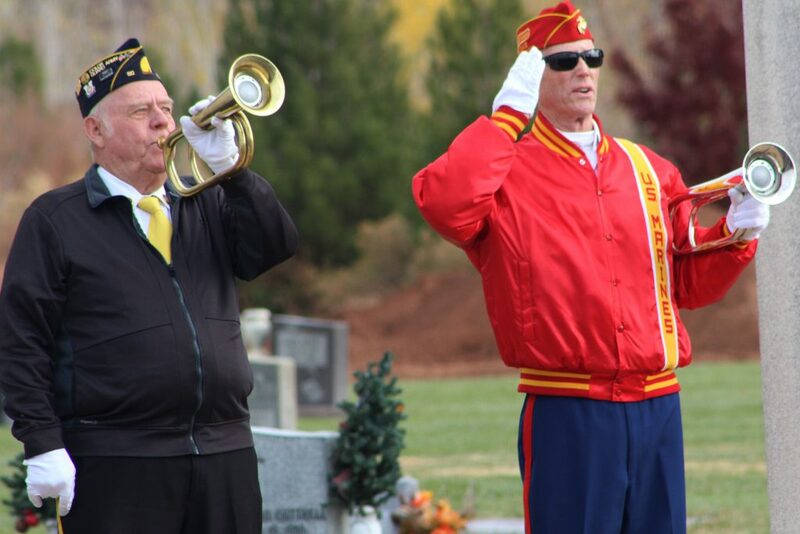 For American Legion bugler Ed Jones, it’s something important for him to do every year. 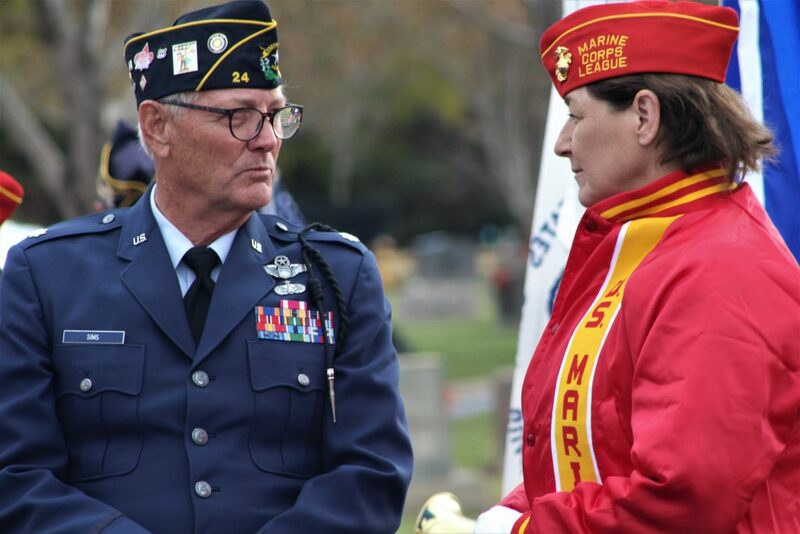 Jones first joined the Legion in 1974 but left the organization for many years. He rejoined four years ago after moving to the area. 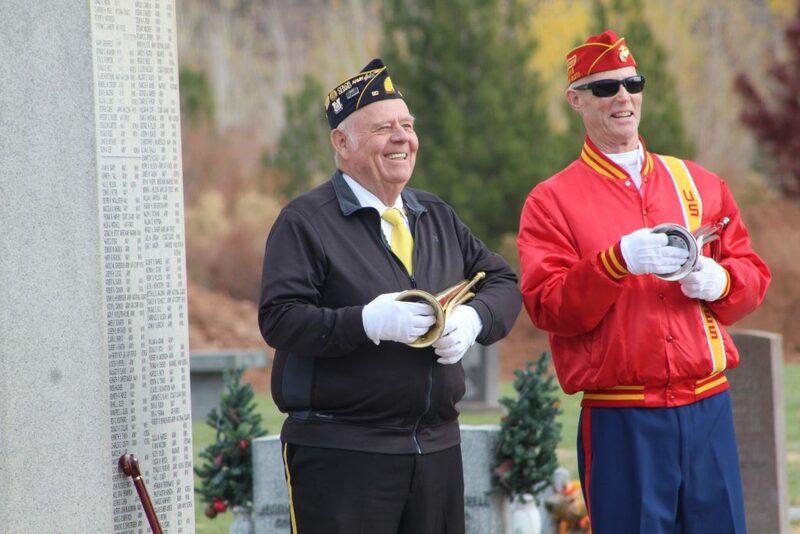 One day he told his wife he was going to rejoin and play bugle again, and he said he has enjoyed every moment since, averaging around 130 events a year. “Somebody’s going to do it for me someday, so I might as well do it for somebody else,” Jones said. 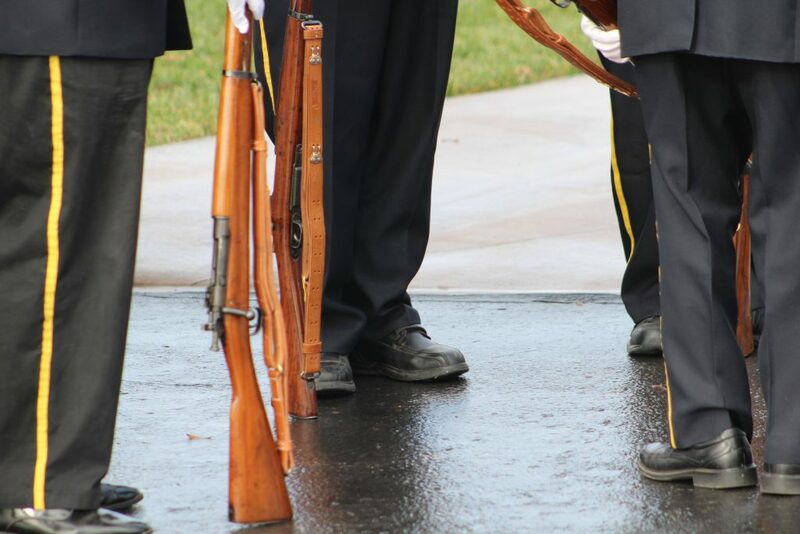 He played “To the Colors” as the flags were raised and “Taps” as the American flag was lowered to half-staff. “It’s an honor to do it,” he said. 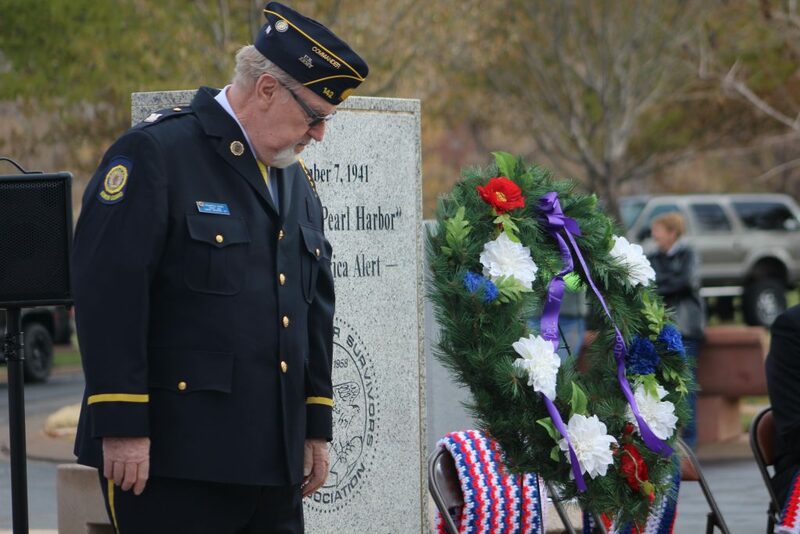 In a press release before the event, Marti Bigbie, commander of the American Legion Lester Keate Post 90, who has presided over the ceremony for the past three years, said it is imperative for Americans to remember the events of that day and how the American response to the attack changed the course of world history. 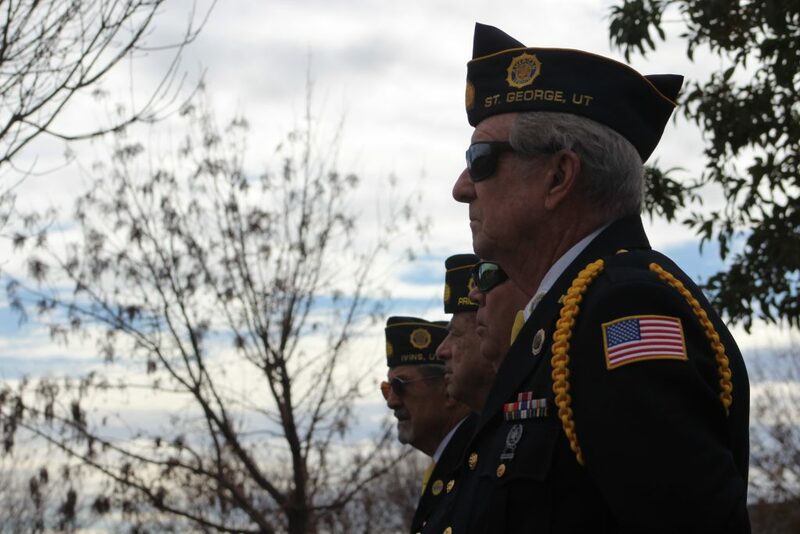 It was a sentiment echoed by Bill Fortune, public relations officer for Utah Dixie Detachment 1270 Marine Corps League, who was just three months old at the time of the attack. 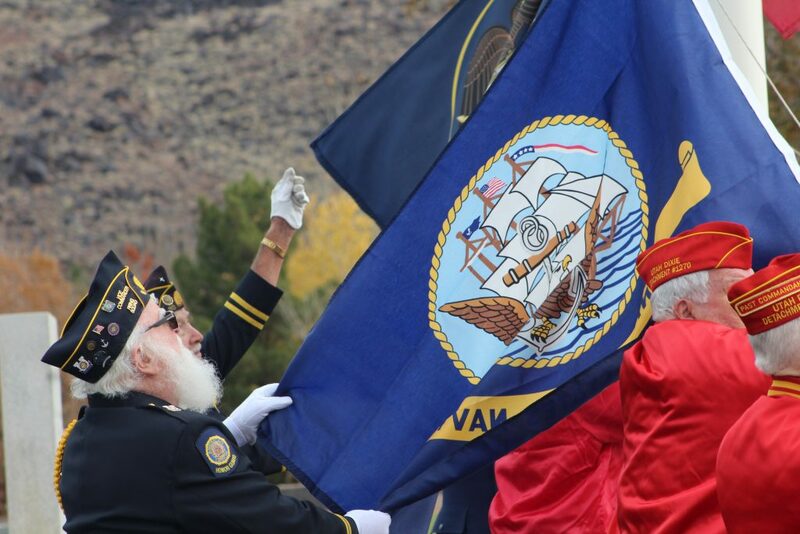 Fortune told St. George News he has been lucky enough to have served with a few of the survivors from Pearl Harbor throughout his years of service with the Marines and said it was a great honor to meet them. 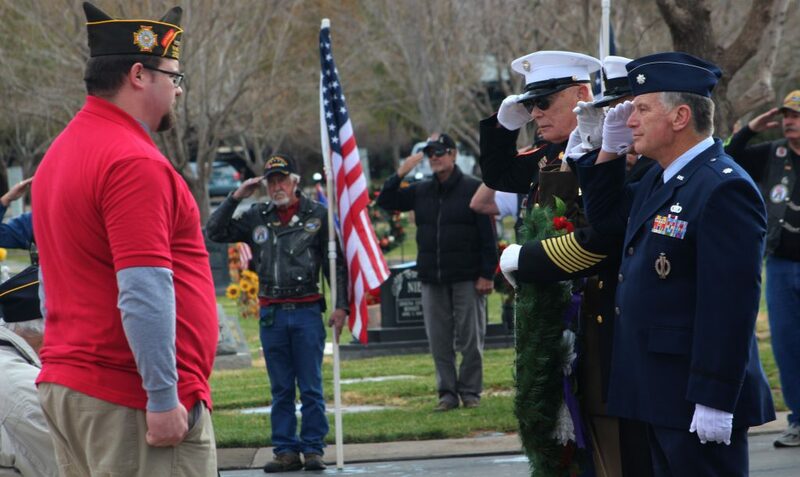 Fortune’s family has a tradition serving in the military dating back almost 200 years, and now he has a granddaughter that joined the Marines and will begin serving at Parris Island in 2019. 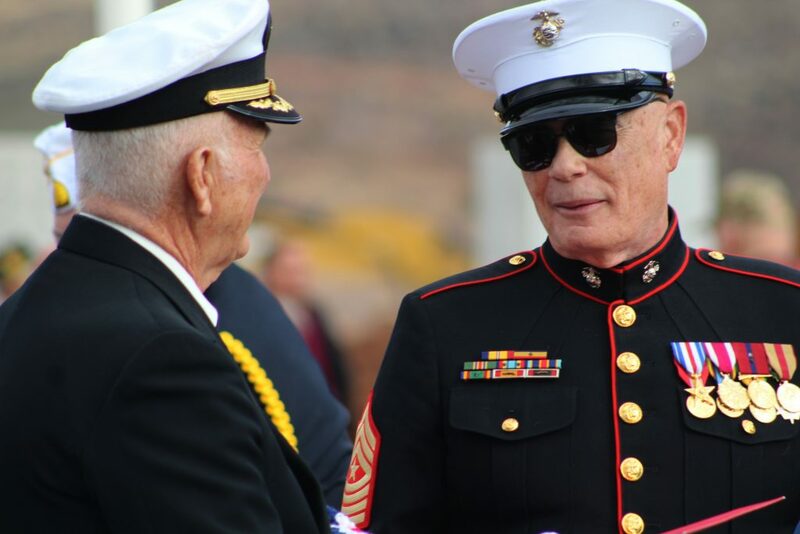 Beaming with pride, he said it is important to keep the younger generations informed and educated about events like this because it is part of all our heritage. 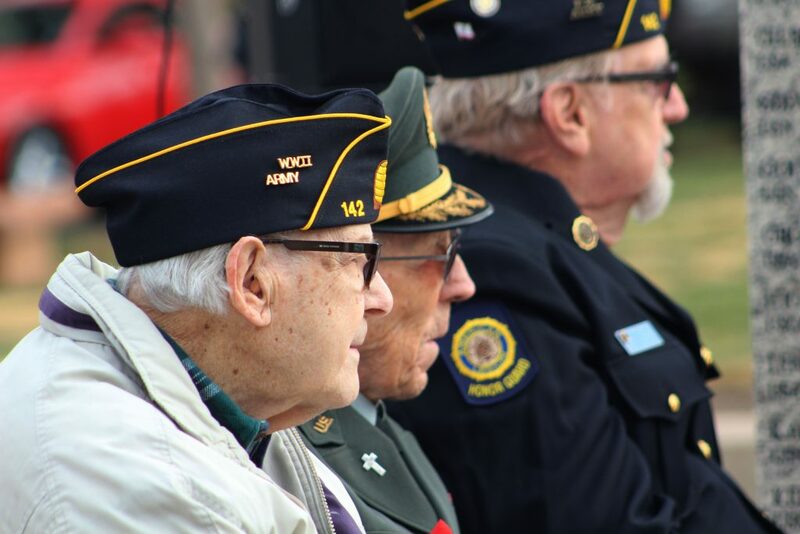 Those who survived were not merely veterans of battle but were survivors who foreshadowed the grit and character that embodied U.S. service members of the greatest generation. 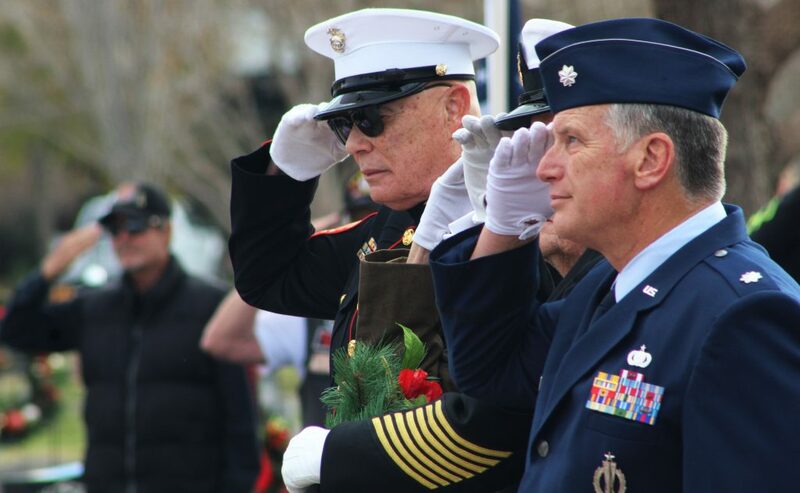 Service and sacrifice were demonstrated over the next 44 months of war as the fate of the free world hung in the balance. 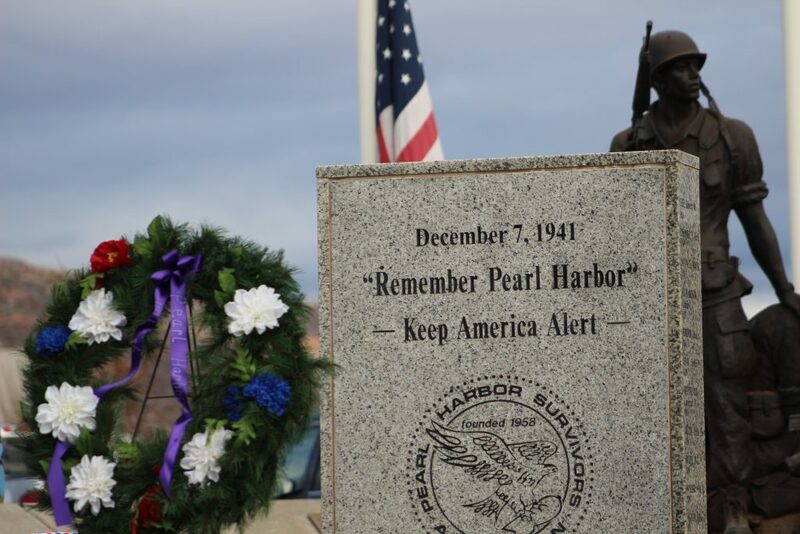 Bravery was in abundance the morning of Dec. 7, 1944: 15 Medals of Honor were later awarded, as were 51 Navy Crosses and 53 Silver Star medals. Americans managed to destroy 29 enemy aircraft, damage 29 others and sink or beach five mini-subs that day. 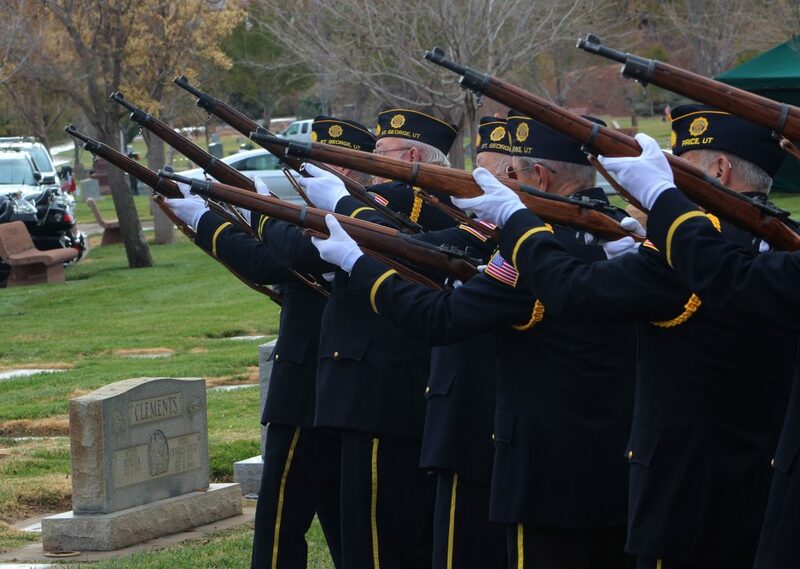 Though only lasting a few minutes, the ceremony capped by the reverence of rifle fire was like a reunion of old friends that gave many the welcome opportunity to the shake the hands people they consider cherished heroes and thank them for their service. 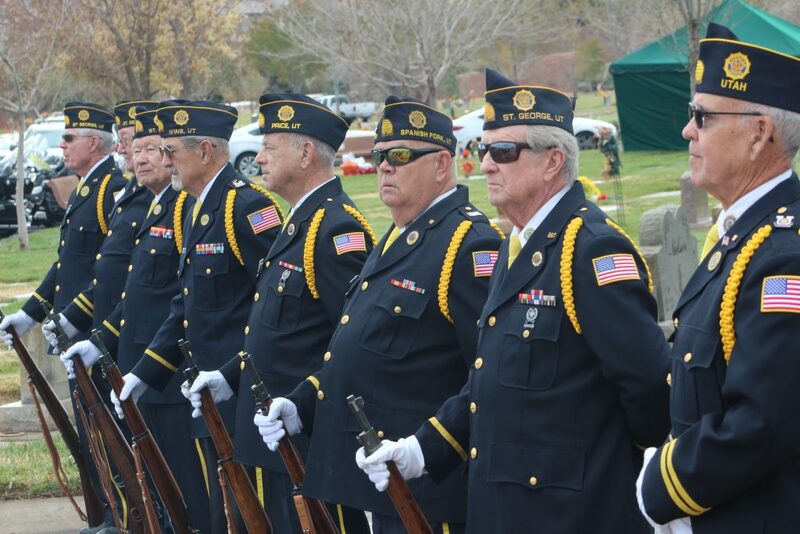 “We’re not heroes, but we rub shoulders with them,” Fortune said. 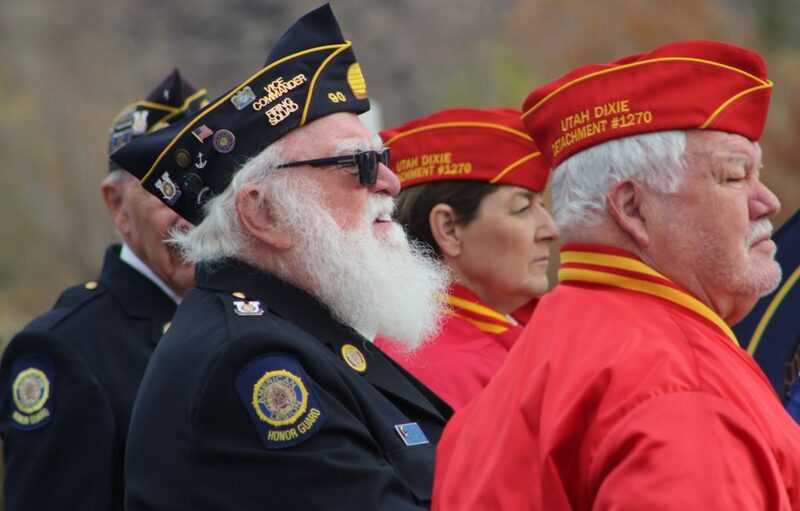 “The incredible resilience and valor for those who fought at Pearl Harbor is a legacy that benefited not just the Veterans Service Organizations but the entire free world,” Bigbie said. 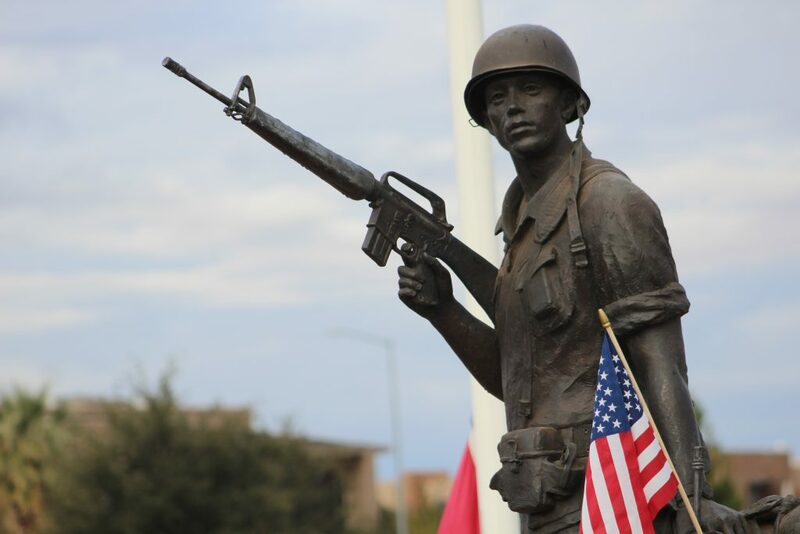 It’s so sad that our “Greatest Generation” is dyeing out and being replaced by unpatriotic millennials and Socialist Democrats that want to erase our once great history.